Cut rockmelon in half. Remove seeds. Remove flesh using a small scoop or tablespoon and put aside. Combine diced smoked chicken, grapes, apple, celery and spring onions. Mix mayonnaise with mango chutney and stir through chicken mixture. 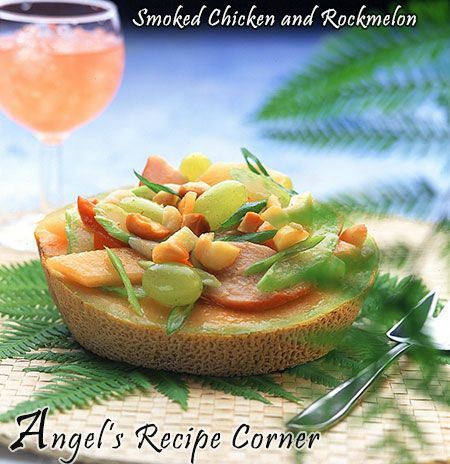 Spoon into rockmelon shells and sprinkle with macadamia nuts.